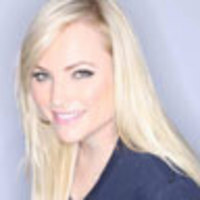 Last year’s repeal of DADT was a triumph, but Captain Owen Honors’ lewd, homophobic videos show how we’re a long way from gay and lesbian soldiers’ serving in a welcoming environment, says Meghan McCain. The historic repeal of Don’t Ask, Don’t Tell last month was a major turning point for gay rights in the military and for the whole country. But fresh off the repeal came news of the lewd, homophobic videos created by Captain Owen Honors, (now former) commander of the USS Enterprise, a nuclear-powered aircraft carrier. What gay soldier would want to come out of the closet to his peers when a video like Captain Honors’ was being widely distributed and viewed on an aircraft carrier? What this video showcases is the blatant and seemingly rampant acceptability of homophobia across ranks in the military. This wasn’t a bunch of rogue enlisted soldiers messing around in their spare time, in an immature attempt at entertainment. No, it was a bizarre tirade filled with anti-gay vitriol from a U.S. Naval officer on one of the most powerful ships on the planet. This is a man who had the experience and the rank to know better than to create and distribute such appalling videos. If for some unfathomable reason he thought such videos were socially acceptable, this mindset only further highlights a troubling culture that was being fostered aboard the USS Enterprise under Captain Honors. This is a man charged with commanding thousands of men and women, with leading them into combat. Yet clearly he didn’t see anything irresponsible about distributing such material to his crew. What's perhaps more telling, though, is the outcry of many sailors aboard the ship who defended him in Facebook postings, calling the video a “morale boost.” With the repeal of Don’t Ask, Don’t Tell, we as a society are demanding more tolerance in the military. Social practices, such as this video, that have been on some level deemed acceptable within the military are now being challenged. However, anti-gay sentiments won’t go away overnight; the repeal of DADT won’t immediately change perceptions. The military is a place of long traditions and ingrained attitudes, so a major cultural shift, especially coming from the outside, takes time. What these videos show is that the homophobia that exists in the military is quite possibly more severe than those not exposed to the military’s culture ever realized. And this incident raises a more fundamental question: Even though they can now serve openly, will gay men and women in the military feel comfortable in this kind of environment? What gay sailor would want to come out of the closet to his or her peers when a video like Captain Honors’ was being applauded on an aircraft carrier? Like all major cultural changes, acceptance of the repeal of Don’t Ask, Don’t Tell will take time, and we should probably anticipate growing pains and scandals to emerge. The promising aspect of this scandal, however, is the outcry from senior military officials and the fact that Captain Honors has been relieved of his command. His removal sends a direct message to anyone acting in such an appalling fashion in the military: This type of behavior cannot and will not stand. What's disheartening, though, is the confusion and questions regarding just how long these videos have been around, who knew about them, and if they represent just another aspect of military culture that's acceptable onboard a ship but not in the civilian world. Of course, one perverted commander can't stereotype an entire naval ship, nor the entire military for that matter—but it's clear there's still much work to be done. While the repeal of Don’t Ask, Don’t Tell is an important piece of legislation, a crucial cultural shift must continue to take place.